ESIRING TO LIVE according to New Testament teachings, the Church of God was compelled to exemplify “pure and undefiled religion” early in our existence by caring for orphans (James 1:27 NKJV). Although previous efforts to establish orphanages had proven short-lived, by 1920 the church had a renewed zeal to care for the growing number of orphans in the United States. During an appeal by General Overseer A. J. Tomlinson at the 1919 General Assembly, many delegates began to weep upon hearing his plea to assist homeless children. One delegate spontaneously gave an offering of $100, immediately followed by other delegates who contributed to the cause. The Church of God became fully committed to benevolence ministry. Offerings were collected thereafter and on December 17, 1920, an orphanage was established in Cleveland, Tennessee. Lillian Kinsey was appointed as matron, and the first residents assigned to her care were four homeless children: Letha, Viva, Lillian, and Clifton. 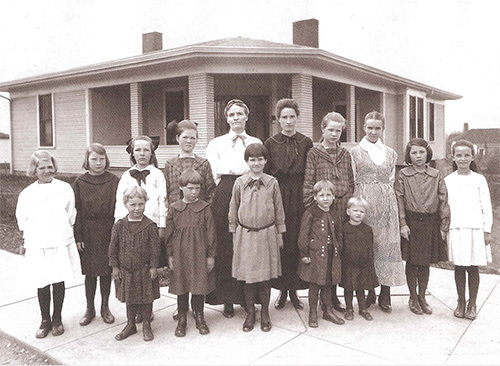 In 1920, the Church of God opened it’s first orphanage in Cleveland, Tennessee. Bloomington and other Church of God members in their area did not yet have an organized church, but the Deal family provided a room in their house for the growing congregation to meet. In that simple setting, the earliest-known penny march for the Church of God orphanage began. Although the penny march was not unique to the Church of God, the practice spread quickly after Bloomington’s letter was published, and it has been continued by subsequent generations. Typically, the weekly practice has included individuals, young and old alike, placing coins in an offering plate or box when leaving their Sunday school classrooms and entering the church’s main sanctuary for the morning service. Other Church of God traditions for supporting the children’s homes have included local members giving an offering in observance of their own birthday and giving special offerings at Christmas or Easter to purchase shoes for the children. 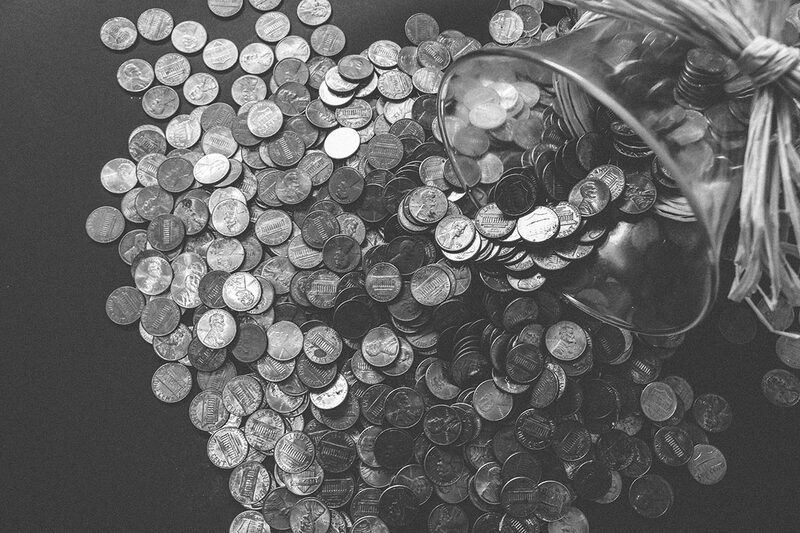 As congregations grow and ministry formats change, the penny march is no longer practical for many churches. However, some Church of God congregations continue to observe this long-held tradition. For more than 90 years, Church of God members have given generously to fulfill their commitment to care for orphans, and many of them began doing so as children giving their coins in a penny march. Louis F. Morgan, Ph.D., is an assistant professor at Lee University, where he also serves as assistant director of Squires Library. As a child, his first offering for Church of God benevolence ministries was given in a penny march.